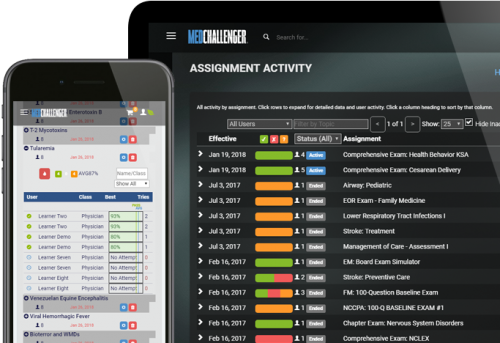 Create your own questions online – use them in assignable online custom exams – build and organize question libraries – share questions for use across faculty for gap-proof education and assessment – all within Med-Challenger. 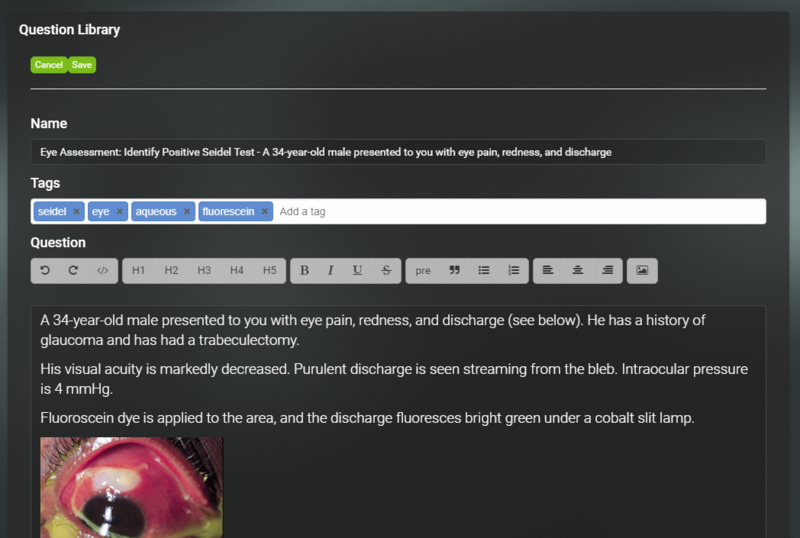 Med-Challenger has introduced new custom content authoring tools to its online medical education platform. 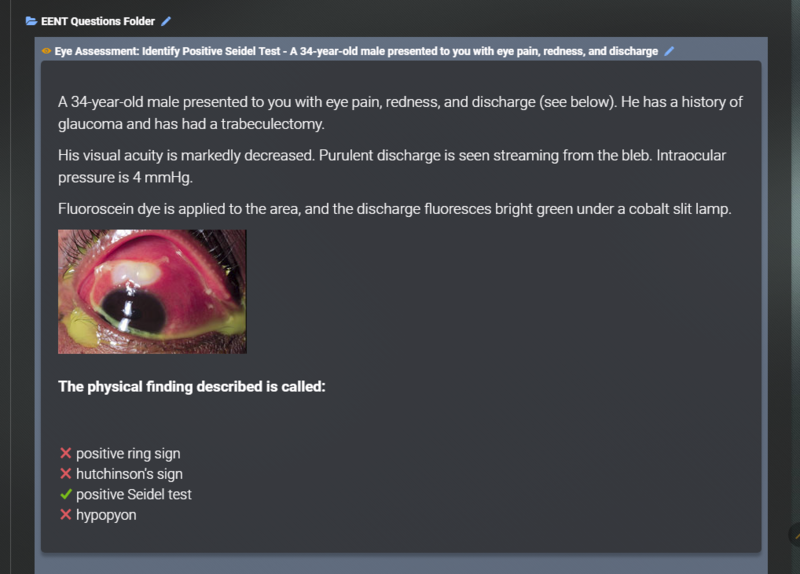 With our new Custom Question Builder, group program managers and educators can now create, edit, organize, and deploy your own custom questions in assignable custom exams within Med-Challenger. 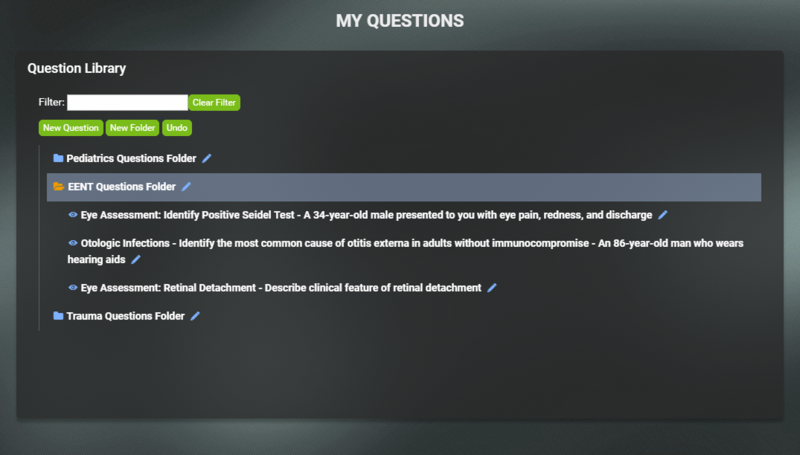 You can even BLEND your custom questions with questions from Med-Challenger’s gold-standard reviews to create a completely gap-proof online clinical knowledge assessment solution. Use our gold-standard content - Create your own - or BLEND the two! 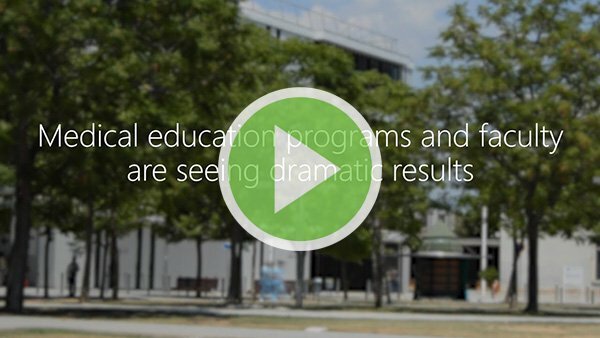 Education Program Managers – build assignable custom exams using our content, your own content, or blend the two. Med-Challenger give you unparalleled flexibility in online course creation and online knowledge assessment. Group Program Administrators with Authoring Tools enabled have the ability to create custom questions, libraries, exams, and more. Schedule a free demonstration or call 1-800-676-0822 for more information. Build your own questions and create a question library. “My Questions” is the component where you can create, edit, and organize your custom questions. Here’s an example of a few folders with questions placed inside. Entering “My Questions” takes you to your Question Library. This is where you can add, edit, and reorganize your questions. You can search for questions within your library using the search field. Search filters items by text and by tag. Organize your questions and folders with drag-and-drop ease. Quickly build your own questions online. No HTML coding experience necessary. 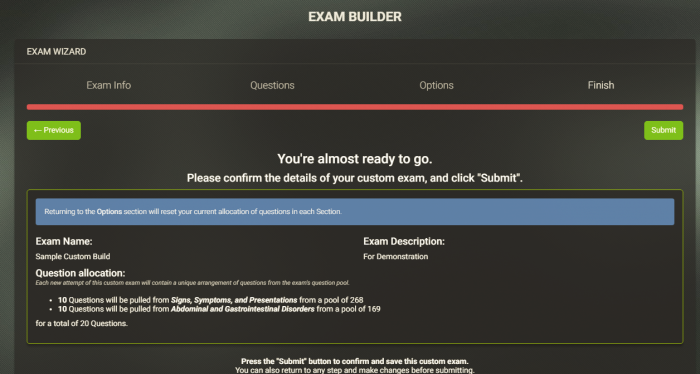 Once your question library houses your questions, you can then use your custom questions to create custom exams using our Custom Exam Builder. 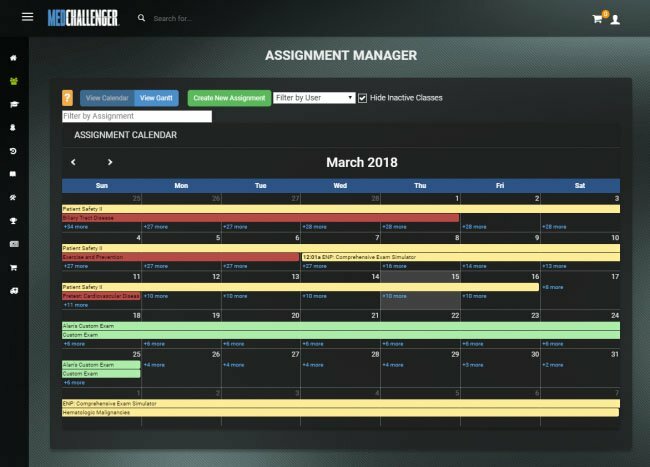 Once you’ve created a custom exam using your questions, our integrated Assignment Manager allows you to schedule and send digital assignments to your learners from anywhere. Assignment management includes shared calendaring, real-time compliance tracking data, and performance metrics. Assignment performance metrics offer an easy way to compare learner proficiency. You’ll see exactly where knowledge deficiencies on assigned materials remain – and you can push targeted remediation on the spot. Share and minimize the content and testing workload. Craft gap-proof program curricula and testing. Save faculty time every year. Authors can share their custom questions with other faculty authors for use in assignable custom exams. Authors can set a status of questions for view and use. Published questions are available to review and use in Custom Exams. Only the owner of a question can edit it. 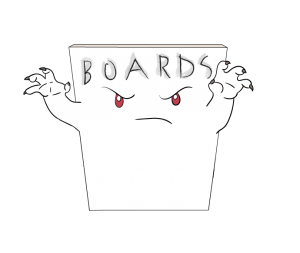 Question set to Draft, Under Review, or Retired will be available to the owner author to edit, but not available in custom exam builders. In-group authors can make their questions public or private. If a question is marked “me only” then no one but the owner can see the question. If a question is “shared” then other authors in your institution can see and use your questions in building their own custom exams. Tired of Content Maintenance? Unite, Blend, and Conquer! Question Library sharing and multi-source exam building means your program can quickly select or build a lasting, time-saving curricula for program education, self-study, and cohort knowledge assessment specific to your objectives – and use your custom assets – over and over – year after year for improved in-training communication, stronger exam scores and matriculation rates, and other program outcomes. Start improving your outcomes instantly.